Food and Society provides a broad spectrum of information to help readers understand how the food industry has evolved from the 20th century to present. It includes information anyone would need to prepare for the future of the food industry, including discussions on the drivers that have, and may, affect food supplies. From a historical perspective, readers will learn about past and present challenges in food trends, nutrition, genetically modified organisms, food security, organic foods, and more. The book offers different perspectives on solutions that have worked in the past, while also helping to anticipate future outcomes in the food supply. Professionals in the food industry, including food scientists, food engineers, nutritionists and agriculturalists will find the information comprehensive and interesting. In addition, the book could even be used as the basis for the development of course materials for educators who need to prepare students entering the food industry. Mark Gibson undertook his PhD in food management, environmental sustainability, and food security at Manchester Metropolitan University (United Kingdom). Dr. Gibson is currently an invited assistant professor at the Institute for Tourism Studies (IFT) Macau, China SAR, and is presently lecturing students in all areas of food production, management and hospitality, business strategy, and governance and sustainability. He is also the program leader (coordinator) of the Culinary Arts Management degree course at the institute, where he is continuing to develop the new 4-year culinary degree course that incorporates many elements of food science. 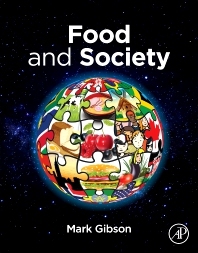 Some notable publications include The Feeding of Nations: Re-defining Food Security for the 21st Century (CRC Press), “Current Food Security Concepts” in “The Global Forum on Food Security Issues: Online Discussions that make a Difference”, “Dying of Hunger” (Scientific Times Journal of Agri Science), “Food Choices – Evolution or Blackmail?” (WorldChefs Magazine), and Food Security in Organic Food: An Australian perspective. As well as writing books and articles, Dr. Gibson is also an associate editor and reviewer for several food-related journals.